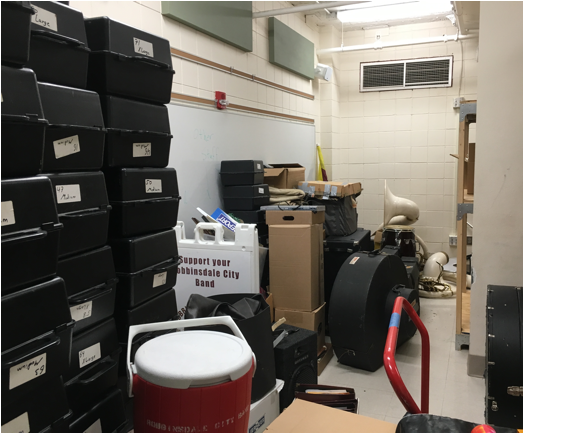 The Robbinsdale City Band (both the Concert Band and the Marching Band) has moved once again – back to Robbinsdale! 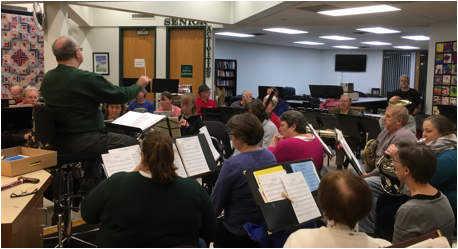 Since it’s inception as an adult concert band in 1969 the concert band (and the marching band) has moved seven times. Starting out on the third floor of the old Robbinsdale Fire department, the band rehearsed and marched up and down local streets near the Hubbard Avenue building for decades. 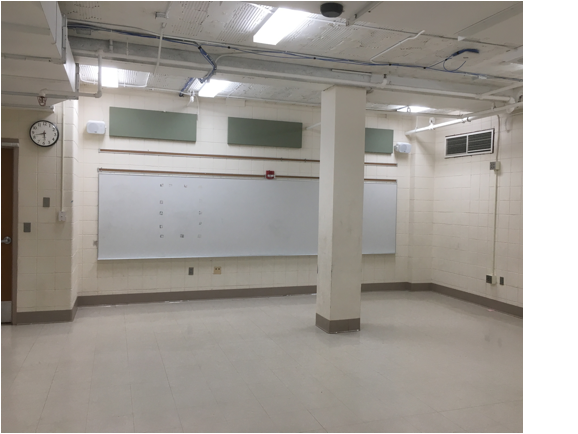 When the old building was converted to a transit we began our nomadic life with a move to the old Robbinsdale Senior High School where we had ample storage space and a nice rehearsal space. Parking was a little distant but we didn’t have to climb three flights of stairs! 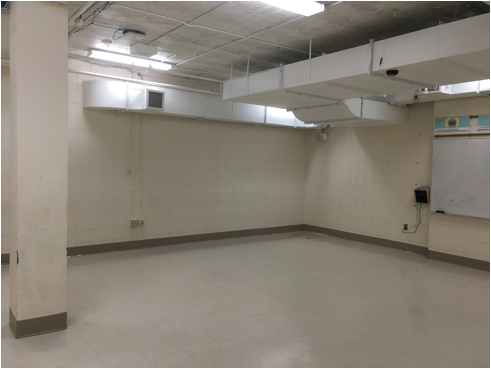 In 2001, to make room for a growing school population we moved to what we hoped would be a space of our own at the Robbinsdale Area Community Education Center (the old Robbinsdale Junior High School) on Regent and 42nd avenues. We inherited the band room without any need to share our space. 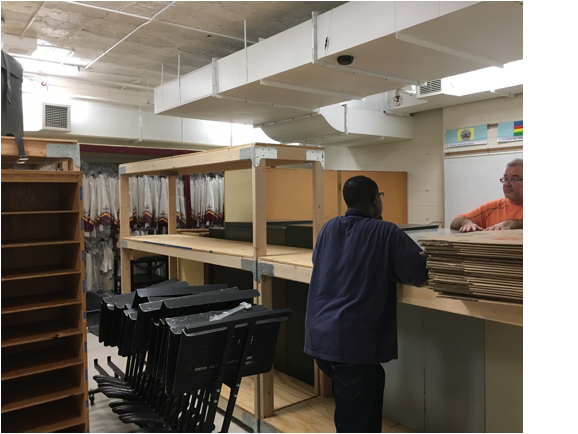 We cleaned, painted, constructed shelving and decorated – a home of our own! It was a great time until the school was sold for development of multi-unit housing. 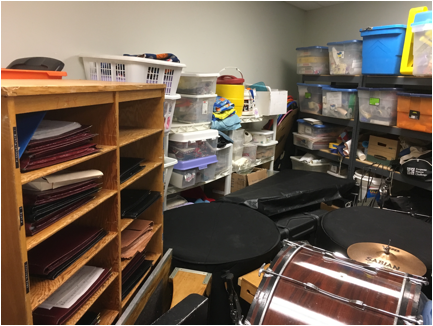 In the fall of 2004 we said goodbye to our own band room and moved temporarily to the Vocal Room at Hosterman Junior High in New Hope. 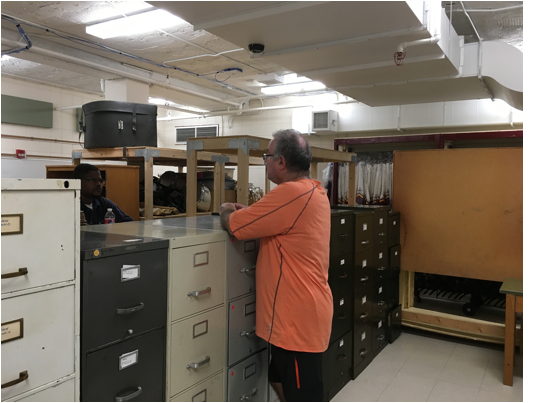 We didn’t have much space so much of our lesser used equipment and uniforms went to storage. 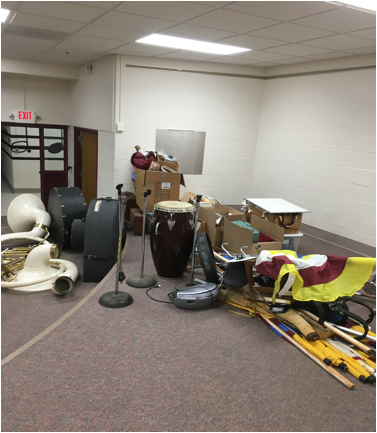 The vocal room was a little cramped for the concert band, but we had a home and parking was just out the door. 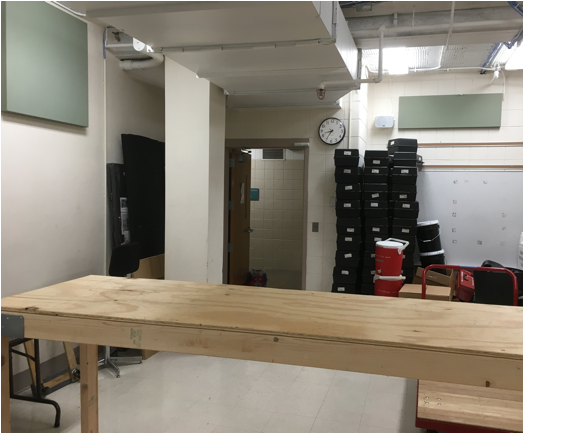 In 2005 we moved back to our previous space in the band room at the "old" Robbinsdale High School. 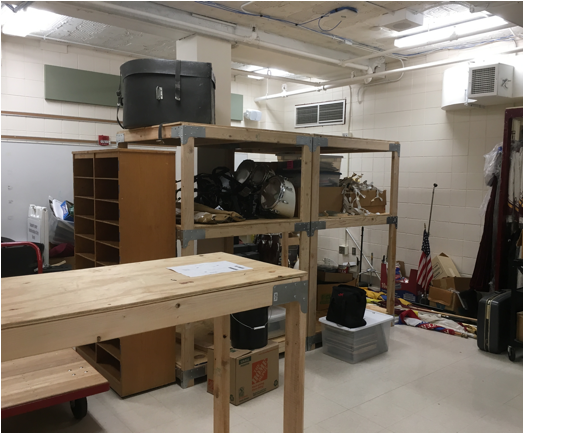 However, we shared our space with the Spanish Emersion School and had to store our equipment downstairs at the far end of the building. Still, it was nice having sufficient rehearsal space and a big stage for some of our special concerts. 2009 took us at Sandburg Middle School at 2400 Sandburg Lane, in Golden Valley. Not far from Byerlys in Golden Valley and just north of Honeywell off Douglas Drive., but no longer inside the City of Robbinsdale. 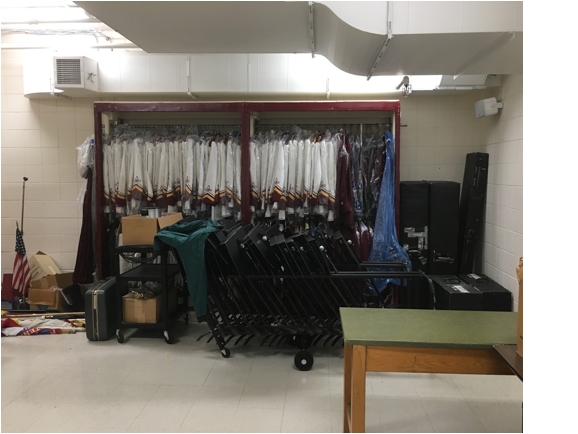 The band room included an immediately adjacent storage area, although it was a couple of steps down from the main doors. We did not share the space with anyone, although we did not create any new decorating. Parking was across the street from the front entrance (west side) and walk almost the entire width of the school from the front door to the band room, which is down several steps. 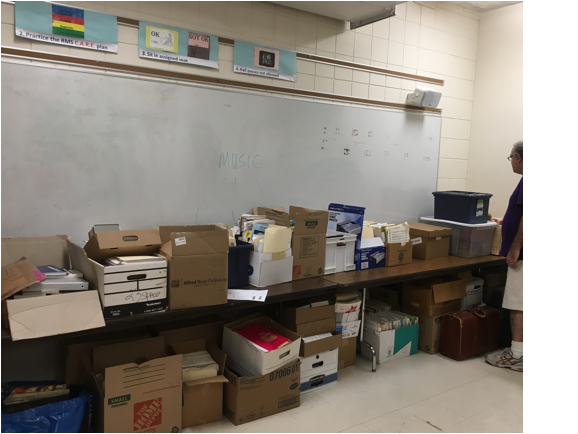 That time we had professional movers relocate our equipment, shelving and music files. The City of Robbinsdale picked up the tab. Thanks! Our latest move is to the City Council Chambers at Robbinsdale City Hall, 4100 Lakeview Avenue North, Robbinsdale, MN 55422. We will continue to work on a more permanent home in or around Robbinsdale. Enter city hall through the north entrance (near the baseball field). We rehearse in the council chambers. There is ample parking immediately adjacent to the north entrance as well all around the building. 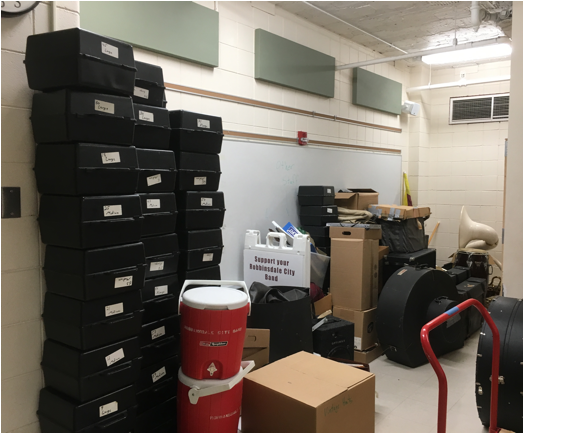 We will continue to store our off-season equipment and our music library in the storage room (room 44) in the basement at the south end of the old Robbinsdale High School - now Robbinsdale Middle School (RMS) at 3730 Toledo Ave. N.
The uniform rack was emptied and transferred over and loaded back up again. Those uniform racks have been around since the first days in the old high school! It’s a little tight and the posts aren’t perfect, but the sound is surprisingly good!